Protests have erupted in a village called Chikkaballapur near Nandi Upachar over an accident. Reports on social media suggest that a rider on KTM RC390 crashed into a child, killing the child. The accident happened on a junction called Bullali and the locals have blocked the highway in both the ways. The angry villagers have also started stopping and thrashing the other bikes using that stretch on the road. 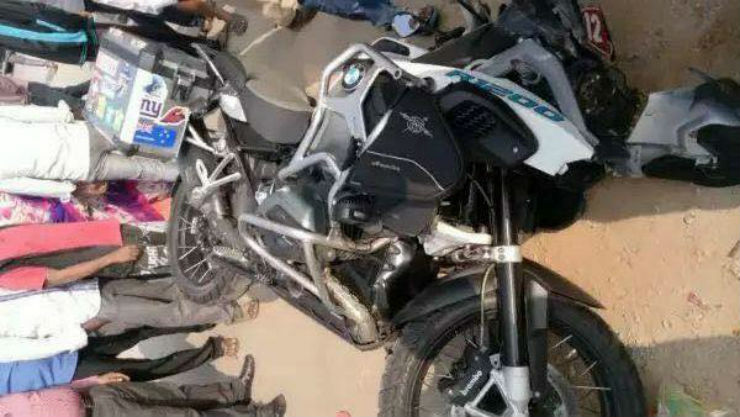 From BMWs to Harley Davidsons, a lot of high-end bikes were vandalized in the mob violence, and their riders trashed mercilessly. People present at the affected place say that the traffic of both the sides have been plugged by the locals as they sit in the middle of road shouting slogans. Many videos and photographs have come in from the areas that show the intensity of the protests. 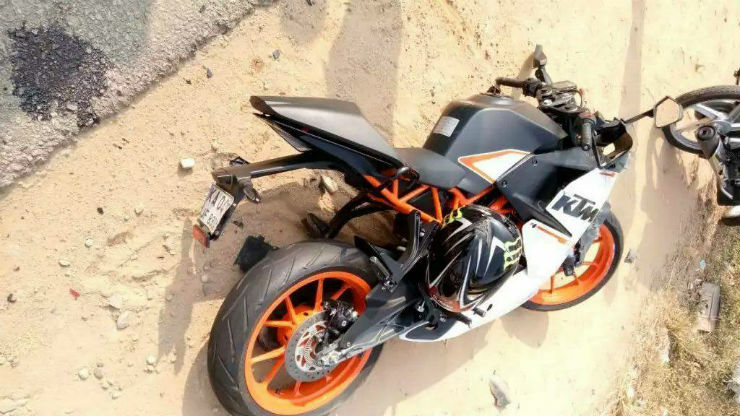 The pictures also show the KTM RC390 lying on the road after locals attacked it. Other high-end bikes like BMW RG1200, a brand new Harley-Davidson Fatboy can also be seen in the pictures. A picture also shows the alleged biker being tied to the tree while cops are nearby. Currently, cops are present at the location but the situation is yet to be controlled. Bikers are especially suggested to not to use the stretch as they are being specially targetted. Even the cars and commercial vehicles have been stopped at the point. If passing through a city or a village on the highway, always slow down. Locals tend to come wrong side and the number of jaywalkers increases in such stretches. If crossing such a point at night, make sure that there are no stray cattle or dogs on the roads. Populated areas have a much higher concentration of such strays. Give way to pedestrians. If you do not slow down, it may confuse them and can cause catastrophic accidents.